Located on beautiful, 650 acre Portage Lake, in Pinckney, Michigan, our facility has something for everyone. 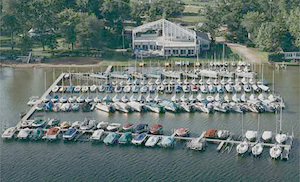 With a summer activities season May 1 through mid October, Portage Yacht Club (PYC) provides swimming, volleyball, picnicking, and 197 berths for sail and motor boats. Our modern clubhouse facility has all the amenities and you will enjoy a full dining menu with a delightful view of the lake for your dining experience. If you are looking to race your sailboat, this is the place. Our one-design sailboat racing is a favorite pastime of many of our members and, with Midwest Sailing on the premises, you have an excellent source for all your sailboating needs. 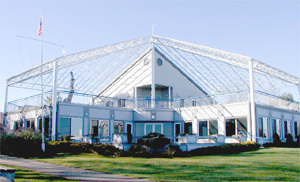 Our contemporary 12,600 square foot building was completed in 1994. On the ground level are two large multi-purpose rooms with water views, deli, kitchen, locker rooms, coat room, club office and large front deck opening onto the beach. Upstairs is a game room and an expansive deck with panoramic views of Portage Lake. Our two acres of shaded grass picnic grounds with large mature trees, picnic tables, Weber grills, volleyball court, soccer field and jungle-gym swing sets, is a delightful space to spend a day. 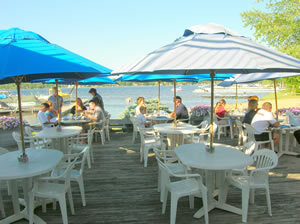 The gentle breeze off the lake with the sunny skies will surely take away your stress. The large, sandy beach with beach chairs, children’s beach toys and sand pile offers you the comforts of your own back yard. You and your family will enjoy hours upon hours of fun. Ours is a protected swimming area with children’s wading dock and shallow-water jumping dock, waterslide, deep-water diving dock, and swimming lessons. Our marina has 197 berths for boats of all kinds ranging from racks with rollers for small boats such as canoes, kayaks, Lasers, Sunfish, etc., to hoisted berths for pontoons, power boats, centerboard sailboats, and winged-keel sailboats up to 22 feet. 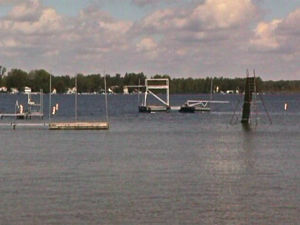 The marina is arranged along 1300 linear feet of dock. 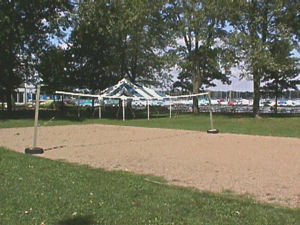 Come play volleyball in the sand. 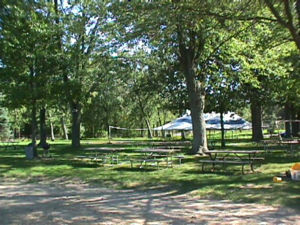 Located in the park, you are always near the picnic tables with a nice view of the water. A good workout can always be rewarded with a nice, cool dip in the lake. Our dining facilities offer a full view of Portage Lake from both inside and out. Treat yourself to a great meal anytime from our contemporary menu that has something for everyone’s taste. Please be advised that, MLCC rules do state the one must be at minimum a Social Member or a guest of a member to be served an alcoholic beverage. A WordPress Custom Theme by Douglas Web Designs.